Open Outlook, and on the quick access bar, choose . In your To-Do List or Tasks list, double-click an item to view the full form. 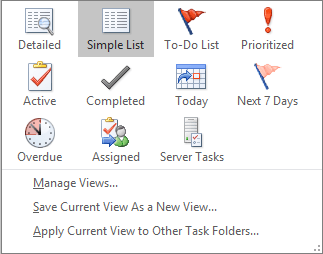 You can change how you view tasks at any time. On the Home tab, in the Current View group, choose a different view.